On behalf of the State of New Jersey, I am pleased to extend greetings to everyone gathered for the celebration of the World Mission Society Church of God on its 50th anniversary. The leadership provided by our churches is an important part of our state. For a half century, the World Mission Society Church of God has been an example of the positive impact of spiritual outreach in the community. The longevity of this establishment is a testament to the dedicated service to its members and to all those who benefit from its ministries. 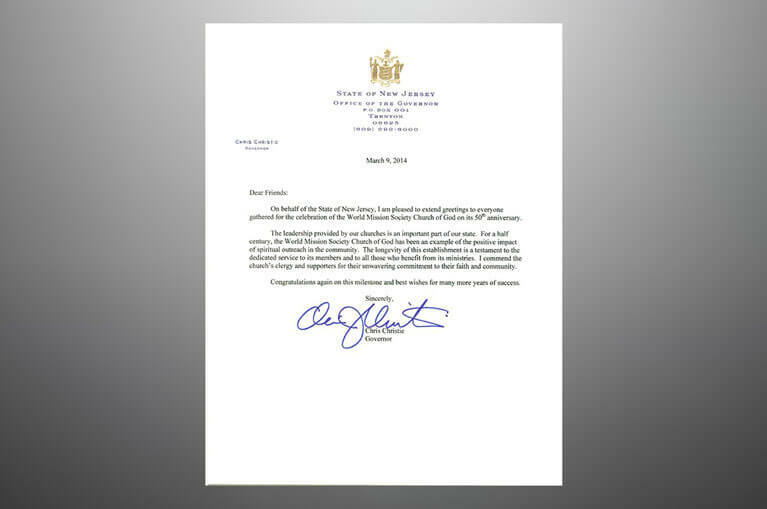 I commend the church’s clergy and supporters for their unwavering commitment to their faith and community. Congratulations again on this milestone and best wishes for many more years of success. 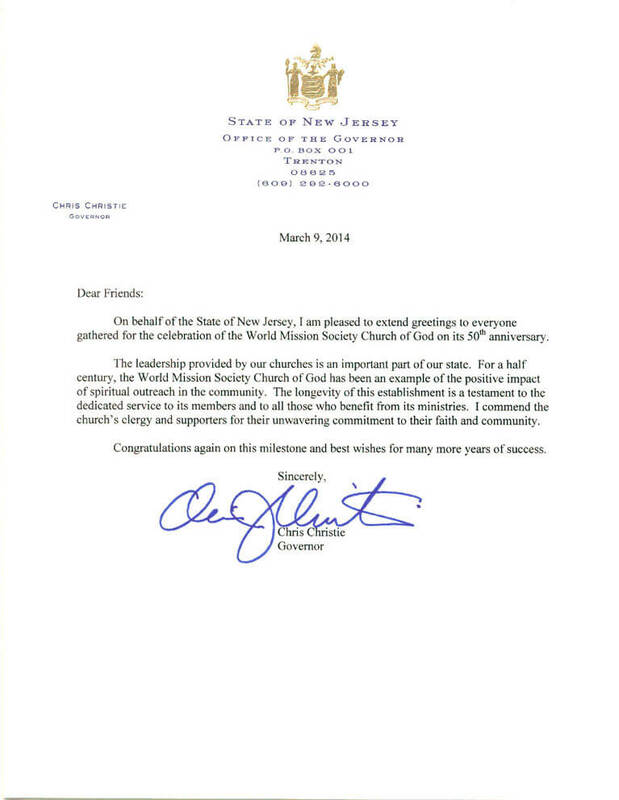 New Jersey governor commends Church of God for long standing leadership and positive impact on society.